This week’s recipe was requested by my good friend Sam, whose lovely partner Agar grows the most divine eggplants. I promised Sam this recipe so he can make it for them both. I hope many of you also enjoy it. This particular Moussaka recipe was developed by Melanie and Max in the three day vegan cooking course from January 2018. I have tweaked it a bit and have used it a few times on retreats to rave reviews. Moussaka feels like a winter food to me but eggplants are growing right now so I suggest making the most of it while they are still in season. It may feel a bit of a laborious job to remember to soak the eggplants the day before, however you may want to do it for better digestion. There is some controversy over solanine which was thought to be found on the eggplants itself but actually after some research is said to be only found on the flowers and the leaves of the plant. Solanine is a natural toxin which many generations of people in many countries have been attempting to get rid of by salting and washing eggplant or charring the skin and removing before cooking and eating. Recent research says that you no longer have to do this process. However after attending a workshop with Ronit from Open Table Catering who still believes salting and washing or charring the skin is important, I tend to agree. If I salt eggplant the night before, wash it and let the juices run away from it for at least 4 hours I digest the eggplant much better than when I used to just cook it without any salting etc. So for me it is worth the extra effort. When you make this delicious Moussaka please place a picture on Instagram or Facebook and tag me #veetsvegancookingschool I would love to see your creations. Mix the brown rice flour, gf flour and Lebanese spice mix together and then place in a bowl and coat the eggplant slices with this flour mix. Place the floured eggplant on an oiled baking tray and bake at 180°C for 15 minutes each side or until the eggplant is tender. For the tomato sauce place the tomatoes and sundried tomatoes in a high speed blender and blitz until smooth. Fry the onion, spring onion and garlic with a few pinches of salt in the splashes of olive oil. After a minute add the cumin, bay leaves and a few more pinches of salt and pepper. Fry for a further 3 to 5 minutes or until the onions become translucent. Add the blitzed tomato and sundried tomatoes. Bring to the boil then set to a low heat and let simmer for 20 minutes. At this stage you can check for salt. You will need to add at least ½ tsp. When the tomato sauce looks thick add the chickpeas and spinach and cook until the spinach is wilted. While you are waiting for the tomatoes to cook you can make the béchamel sauce. Place the oil in a saucepan and heat up for less than a minute then pour in the flour. With a whisk, gradually add the soy milk and keep whisking. It will thicken up. Cook for approx. 10 minutes or until you have a lovely smooth white sauce. It may thicken up a lot, then you will want to add some more milk to thin it a little. Add the nutritional yeast, smoked paprika and salt and mix through. Taste to see if there is enough salt. You may also like to add pepper. To assemble place half of the tomato sauce on the bottom of a baking dish and layer half of the eggplant slices on top of the sauce. Add half of the béchamel sauce on top of them and then add the other half of the tomato sauce and then the rest of the eggplant slices. Cover the eggplant slices with the rest of the béchamel sauce. Sprinkle on the rice crumbs and bake in a 180°C oven for up to 30 minutes or until heated through and the rice crumbs have browned a little. NOTE: For anyone on a low fod map diet omit the onions and garlic and use only the green parts of the spring onions, also omit the chickpeas and add another vegetable of your choice to replace them. Even though I have a long list of recipes I want to share with you all, I really enjoyed writing this blog knowing that someone had requested a recipe. So roll in the requests, I am up for a challenge and here to write for you. So let me know what you want. I can’t believe there is still 6 months left until the Vegan Chef training starts. I am ready to start teaching it now but patience is a virtue some say. The bookings have been going really well for this. The first round early bird price ends on the 31st of March so if you want to grab a bit of a discount contact me today to get enrolments started info@veets.com.au. There are three places left for modules 2 to 5 this year. If you want to come and try out the foundation course first before you decide you have the chance to do so in the April 25th to 27th and May 30th to June 2nd foundation courses. The July course has been cancelled so April and May dates really are your only opportunities to come and see if it is for you. Also if you are just wanting to attend the foundation course, the three day vegan cooking course there are only four places left in the April course and five in the May course. 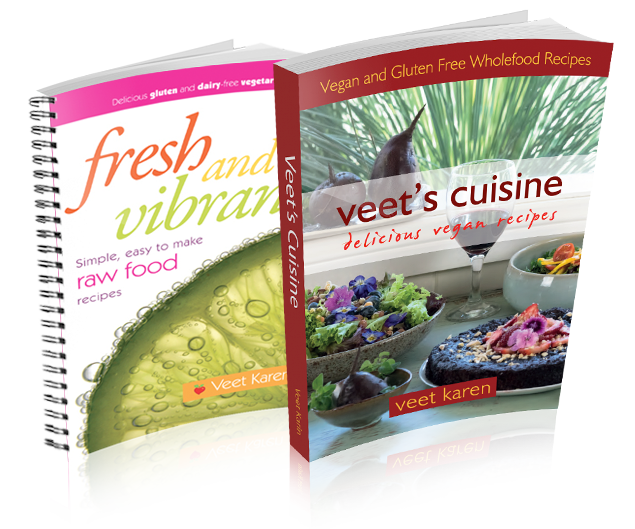 Check out our 3 Day Vegan Cooking Course for the list of other dates.